Imagine a lifestyle where every day feels like a vacation. A home where you are surrounded by an extended family of friends and caring staff. Days filled with entertaining social activities. Or days of quiet relaxation in the privacy you desire. Finally, imagine all of this in a luxuriously appointed, resort-style residence. At Harbor Crest, all of these amenities and more are available in our full-service senior apartment community. Designed with your comfort and satisfaction in mind, our residence reflects years of experience in, and dedication to, premier senior living. Harbor Crest's campus offers walking access to financial, retail, medical, and entertainment offerings. Without crossing a single street you can shop at Albertson's, visit Rockwood Clinic and Deaconess Urgent Care, do your banking, and drop by a library. 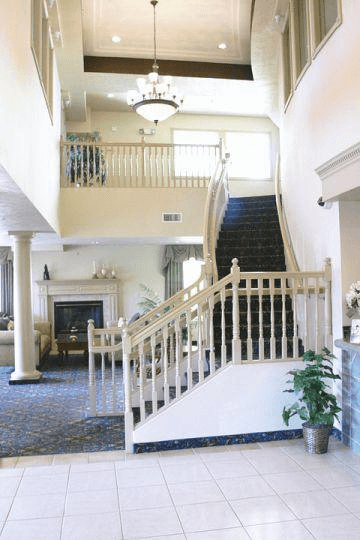 No other retirement community in Spokane offers the neighborhood conveniences of Harbor Crest. Visit today and see for yourself. Harbor Crest at Cedar Canyon Estates was designed from the inside out to provide you with security. The gated community is peaceful and safe, and offers state-of-the-art systems. At Harbor Crest, there really are no worries. Everything to make you feel at home.